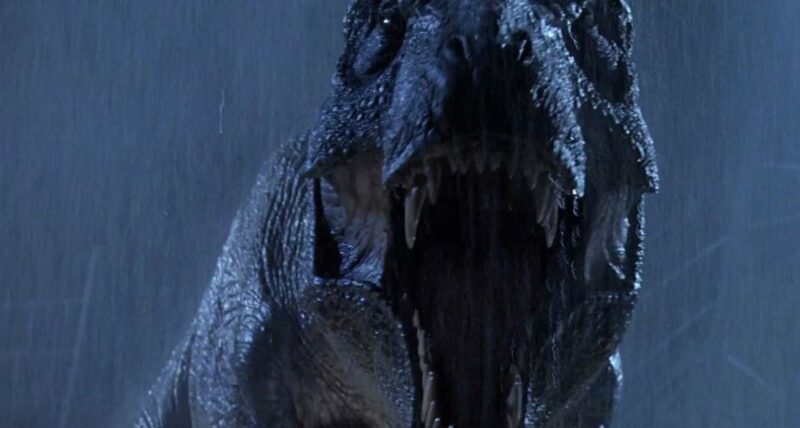 A dinosaur has attacked, and it wasn’t in a Jurassic Park movie! There has been a trend of people dressing up in dinosaur costumes. A person even dressed up as a T-Rex to go ice skating! But this is the first time it got a little scary. In South Carolina, a woman dressed up in the infamous, meme-able T-Rex costume caused a ruckus by growling Thursday when a horse-drawn carriage passed. While this might sound funny in principle, the growl spooked the poor horses, which caused the horses to back up and sent the carriage, and the driver, into a parked vehicle. A carriage wheel rolled over the driver’s foot, causing him to go to the hospital to treat broken bones. The video is honestly pretty frightening. Luckily, the horses and passengers escaped injury. The woman in the costume initially ran off, but thankfully, she later turned herself in. According to a statement from the Charleston police department, she’s being charged with disorderly conduct. Whatever the woman’s reasoning for growling at the horses, we’re glad that no one, including the horses, got seriously injured, and that the driver is going to be okay! There are certain ways to behave around a horse to not spook them, and growling at them in a T-Rex costume is definitely not a good idea!